Time to try some new habits. I find sometimes a behavior change is a good shake-up for oneself – and it can seriously unnerve people around you when you change a behavior because it requires them to think of you in new ways – and it’s almost always impolite to force other people to think – but it can be fun. OK – I have been food journaling for a month – but I never did it in any disciplined approach before. While it certainly didn’t seem to help – as evidenced by the series of posts, I did read that food journaling does help make one more aware of what they eat – and thus eat less. While it would seem I proved that one wrong, I did like the journaling, and commit to it until the end of the year. I’ve also tried to do something that I’ve never done before, and that is purposely creating a lot of frozen meals. I made a huge pan Italian sausages and meatballs. I also made chicken breasts with bacon. I froze the bacon breasts with some Brussels sprouts, and froze bags of the Italian ‘stew’ – It came out quite good, though there was more liquid than I expected. I got maybe 15 portion-controlled meals out of this – let’s see what happens. The food parade started today at 8:30 AM with a hard-boiled egg and mayo. At 2pm my wife came back from the store with some brie, and I had 5-6 small slices with pork rinds. Right after that my pan of Italian sausages and meatballs was done. I took out the smallest bowl I had and had some. I had the bright idea that I could throw the bacon on the bottom of the pan, then throw the chicken on top, and let it cook slow. Problem with this plan was that the chicken and the bacon gave up too much liquid, so the bacon couldn’t brown. Thinking quick, I poured off some of the liquid down the drain, ensuring a plumber’s visit some time in the future, no doubt. After that, the bacon and the chicken cooked up nicely, but the bacon needed more time. I took the chicken out, got the bacon more browned, and poured this over the top of the chicken. This came out quite good, I must say, though I am torn over my use of nitrated meats like bacon – not so torn up not to do it, mind you, but I would like to give ’em up. Perhaps when I get near my target weight, I can swap it out for something less controversial, but I’ll lean on this crutch if it helps get the weight off now. Later in the evening I had more of the Italian stew, and a open-faced sandwich of cheese, mayo, and lettuce. No cheats today. To put as positive a spin on this, I could say I’m on a 1-day streak! I just finished this. It’s an insightful book – one that makes you take a good, hard look at yourself – but it also has the potential to expose you to parts of your being that you might not want to see. Reading the book was akin to someone informing you that you’ve been walking around all day with a long tail of toilet paper sticking out of the back of your pants – you appreciate the information, but you feel awkward. I think the premise of the book – that we seek to reduce dissonance in our lives by unconsciously tuning out information that doesn’t feed out preconceived notions – is important when doing low carb. It’s easy to be an evangelist for low carb – especially after you’ve lost a lot of weight. But still, the fact remains that low carb isn’t for everyone. 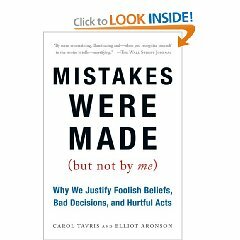 If you read Gary Taubs’ book, he presents a one-sided view of low carb. This was intentional – he stated that the other side had plenty of books to put against his. But there is a lot of evidence that might show that low carb ain’t all that good for you. Maybe that’s the case. Maybe it isn’t. Maybe it’s the case for some people or not others. Maybe it’s…whatever. We low carbers, on the other hand, are regarded in the same vein as people who claim to have seen Bigfoot. I think I’ve become more accepting of this, and I don’t speak about it as much as I used to. I’ll keep it to myself – and this blog. Welcome to the low carb underground. I don’t think there’s any situation in which the smell of just chicken and just bacon could make me queasy. What a cool name for a blog. Low carb underground. Well anyway Im right there with ya.